Learn how to use Dynamics 365 to improve your team’s ability to profile accounts. A common struggle among sales teams is effective account profiling. Account profiling is the process of identifying key data points about customers and prospects and can help your sales and marketing teams more effectively target the right accounts. How many times have you reviewed a customer or prospect account and realized that some of the basic profiling is incomplete? If you answered never, you are among the most elite sales organizations in existence. Most struggle with this seemingly basic sales task — but why? There are many reasons such as a lack of tools to help profile accounts, improper training, failure to set account profiling as a goal, and not managing compliance, among others. 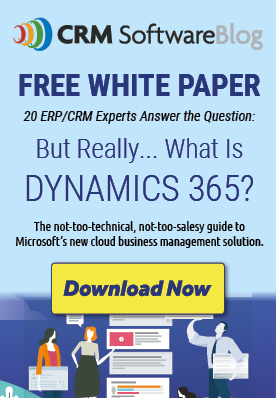 Microsoft Dynamics 365 for Sales can solve this challenge. Begin by identifying the key profiling items that your business needs to better understand an account and to better market to accounts. Some examples of profiling items include industry, revenue, lines of business, competitors servicing the account, key contacts, etc. Next, place a score on each item with the goal of a fully-profiled account having a score of 100. For example, profiling the lines of business may be assigned a score of 10 points. Next, develop a plugin or workflow that will review the account records in Dynamics 365 and keep an Account Profile score. On top of this base profiling system, you can develop goals using the goal management module to track the teams performance. Additionally, dashboards, reports, and alerts can be created to give the team awareness of the profiling goal and goal progress. Having an effective account profiling tool can help your organization finally make progress toward this key sales initiative. It will also help identify the key accounts you should be targeting and enable marketing to perform more effective targeted messaging to your accounts. About the Author: David Buggy is a veteran of the CRM industry with 18 years of experience helping businesses transform by leveraging Customer Relationship Management technology. He has over 15 years’ experience with Microsoft Dynamics CRM/365 and has helped hundreds of businesses plan, implement, and support CRM initiatives. To reach David, connect with him on LinkedIn. To learn more about Strava Technology Group visit www.stravatechgroup.com.